(German/English side by side) This is an expanded second edition of a book first published in 2006. That edition had won quick acclaim and sold out just as quick. What distinguishes this large-format book from the many others on this model is its approach. 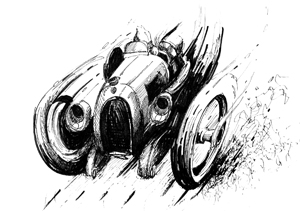 While the car and its history are described in all pertinent detail, it is first and foremost an appraisal, or, better, an appreciation of the car, written by the very people who knew it best, warts and all—the engineers and drivers. Where other books reduce such commentary to excerpts and pithy one-liners, often all the more pithy by being stripped of their context, here you have pages-long insights from the primary sources in a first-person voice. Another unique dimension of this book is that it is published by German photojournalist Reinhard Klein’s company, which means it takes its photography seriously. The first edition already contained previously unseen photos; here there are more still! Expanded by three chapters/24 pages the book now adds the reminiscences of Vic Elford and David Piper on the driving side and Helmut Flegl, Norbert Singer, and Herbert Linge on the engineering/management side. Not everyone experienced the car the same way and by encircling its subject in this manner there is naturally some overlap and also some discrepancy in these accounts. 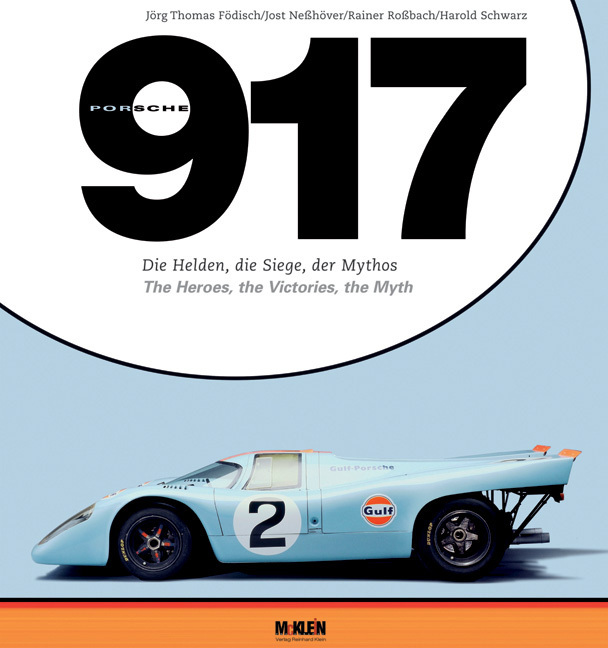 “It was a horrible car!’ said Porsche’s veteran works driver Hans Herrmann of the early 917, the “white giant” that had quickly been renamed “the tumor.” It was initially hated and dreaded and drove people to despair because its handling wasn’t fixable—until the aerodynamicists had a crack at it and turned it into the all-conquering dominant car that the same Hans Hermann would drive to a career-crowning overall victory at Le Mans (1970), fulfilling the 917’s primary purpose in life. 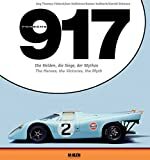 The team of authors behind this, and several other important Porsche books, has a distinctive conversational writing style. This is more evident in the German original than in the English version—not a shortcoming of the translator but merely a difference in the architecture of the languages. Except for the additions, the text has not materially changed from one edition to the other but the English translation has been tweaked by John Davenport. 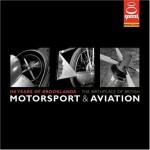 The aforementioned chapters by drivers and engineers are augmented with chapters by the authors’ hand and the overall story relates conception and design, ongoing development, and competition history including the Can-Am events. Once more, the reader is reminded that the book’s approach does not lend itself to perfectly linear, chronological organization. No one topic is fully exhausted in any one chapter, a situation only exacerbated by the lack of an index. In other words, everything you should know and want to know in order to appreciate the car and its singular achievements is there, you just have to wait until you stumble across it in the text as opposed to being directed to where to specifically look for it. For instance, all the basic technical information is presented, just not in one place. The very technically oriented reader will probably find this book lacking in micro detail, but that is really not its purpose. 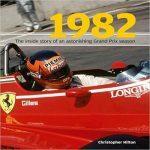 What is in one place are all the 1969–1981 race results; they make up the Appendix and are presented with the authors’ trademark thoroughness and in easily readable form. Race stats such as final standings of cars and drivers are presented in the form of sidebars in the respective chapters covering specific events. Also appended are the bios of 18 drivers, all accompanied by period photos and a data block detailing their titles and victories. The Appendix also contains four of the five somewhat impressionistic color gouache paintings in this book by Walter Gotschke, a German automobile artist of international acclaim. It is a foregone conclusion that the photos in a McKlein book are plenty, large, well chosen to suit the text, as well reproduced as the source material allows, and sufficiently captioned. 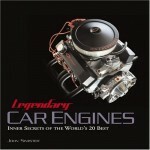 Readers new to the topic will get a fully rounded picture of the car, its exploits, and the people behind it. 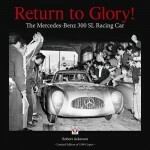 Readers already familiar with the 917 literature will recognize those photos that are new to the record here. Of particular interest are the raw, unpainted body parts and construction details, and engine, component and chassis detail photos. A quintessential photo of a 917 on display in a London street teases us by calling attention to the splendid paint colors—but then shows them only in b/w. The book also reproduces several race posters, memos (which are not translated), and—a real gem—the actual sales brochure (in German and English) for the “road cars” that Porsche was required to offer under the homologation rules. Even if your bookshelf is bending under the weight of stacks of other 917 books, this one is different, worthwhile, and desirable.